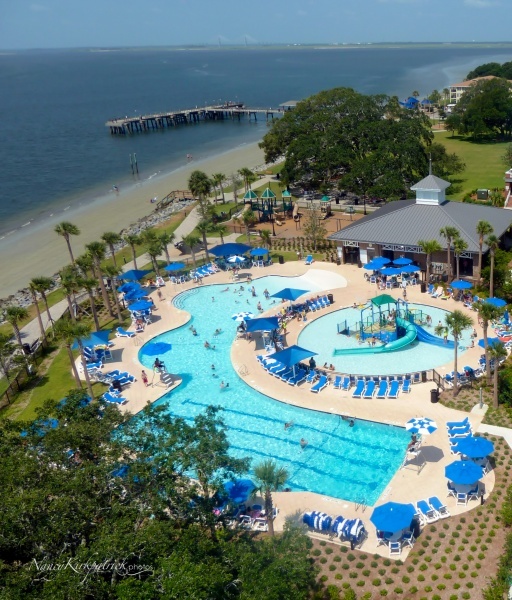 With school out for summer break, our coastal Georgia area begins to fill with visitors, tourists and summer residents. The snowbirds are long gone now. Their absence felt only briefly before traffic once again begins to swell with weekend and summer residents. Bicycles and golf carts rein on roads close to the beach. So with these changes, we introduce our new theme, Walk-About Wednesdays. Each week, an area of our coastal heaven will be highlighted with photos, historical insights, memories and musings. 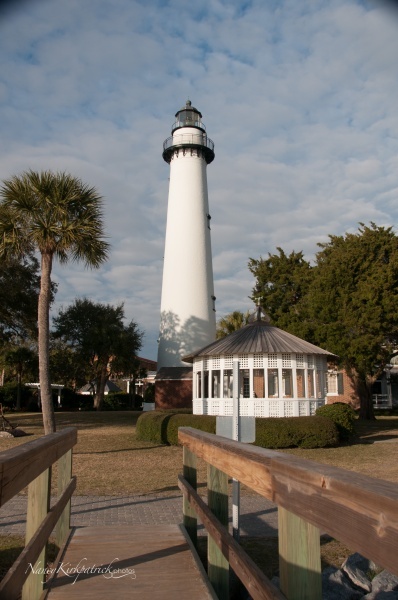 Today’s Walk-About topic is the St Simons Island Lighthouse. 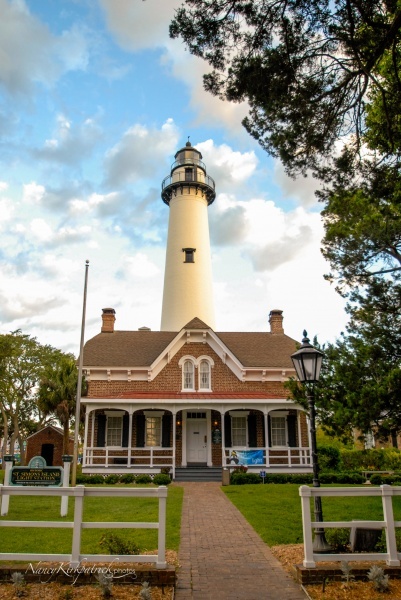 The Coastal Georgia Historical Society operates the Lighthouse and a wonderful museum store located in the A.W. Jones Heritage Center. The lighthouse was first built in 1810. Appointed in May 1810 by President Madison as the first keeper, James Gould held this position at an annual salary of $400 until his 1837 retirement. During the Civil War, the blockade of Federal ships and the subsequent invasion of Georgia by Federal troops forced the Confederates to evacuate St. Simons Island. Prior to leaving in 1862, the Confederates destroyed Gould’s lighthouse so the Federal forces could not use it as a navigational aid. The ruins of the first lighthouse were partially excavated by archaeologists during August 1974. In 1872 the U. S. Government ordered the construction of a second lighthouse that was placed west of the first. The 104-foot tower, which has a 129-step cast iron spiral staircase and an adjacent keeper’s house, were designed by one of Georgia’s most noted architects, Charles Cluskey. 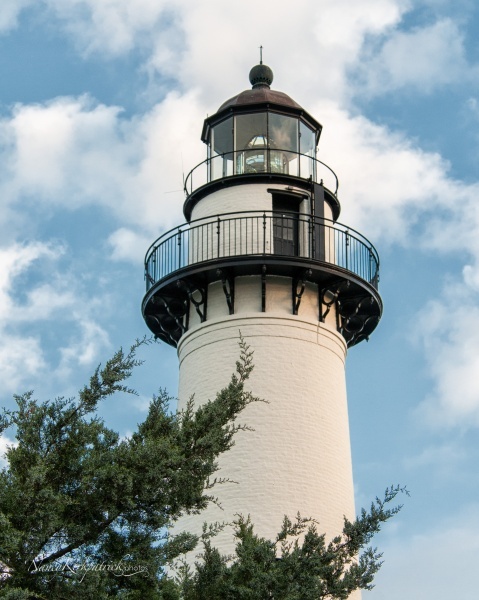 Today, with the assistance of the U.S. Coast Guard Auxiliary, the light continues as an Aid to Navigation, shining seaward every night and during inclement weather. Popular Sunday evening concerts are held on the lighthouse grounds and the area is often booked for destination weddings and receptions.